One Hen: How One Small Loan Made a Big Difference, by Katie Smith Milway A great book that introduces children to other cultures and the power of giving. Best of all, this book can be found at your local bookstore (great to support local small businesses!) and can be given along with a microloan from Kiva.org or give some chickens to a family through World Vision. Tegu Made with sustainable materials, these magnetic wood blocks are rooted in giving. Tegu created an independent toy factory in Hondoras in order to provide employment and fair wages for the community. In addition, they partnered with a local school that educates many of the children of the families that work at the city trash dump. Uncharted Play The SOCCKET Original is a portable, power generating soccer ball designed to promote physical activity and spread awareness about the global energy problem. Wudy Werks, a veteran-owned, Made in America small business, handcrafts these enormous 3D Double X T-Rex puzzles. 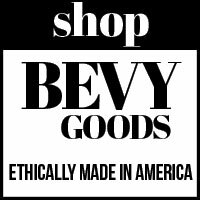 Laugh Brand With every purchase, Laugh gives back 30% of profits to fight human trafficking and exploitation. 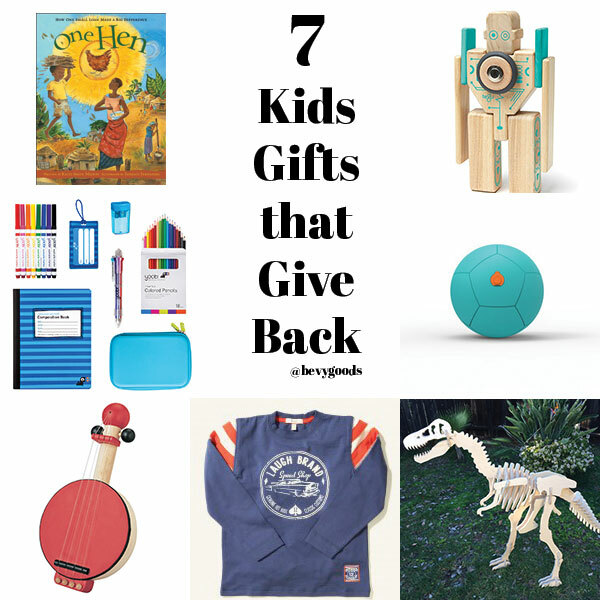 Plan Toys Fully transparent with their sustainable materials (such as wood from rubber trees & formadelyhyde-free glues) and sustainable manufacturing, Plan Toys gives back with their reforestation program and programs for children in the community. Yoobi – For every item bought, Yoobi donates an item to their Yoobi Classroom Pack, which is then distributed to classrooms, as determined by Kids in Need Foundation. Your son had clearly lost it. I heard him screaming from the other side of the store as I checked out. Every time I thought he was going to let up, he screamed and kicked even harder. But you held it together. You spoke calmly to him. You didn’t waver. Parents throw around the phrase “We’ve all been there”. It often comes off patronizing. But I want you to know that when I looked at you, it was not in a judgmental way. I looked to see how I could help. My eyes darted around, maybe a People Magazine would cheer her up? Maybe I can help put her bags in her car? I wanted to say something encouraging, but I know when the tables are turned, if someone spoke to me in that same situation, I wouldn’t have the energy to be polite. Or I probably would lose it and start crying along with my child. I wanted to tell you that you’re amazing. No one was judging you. There is no reason to be embarrassed. There is no reason to worry about what anyone else around you is thinking. What your child is communicating right now has nothing to do with your parenting skills. How YOU are reacting to it shows just how great a parent you are. And as I write this to you, Mom-I-don’t-know, I also write this to myself. To remember the next time one of my 3 loses it in public. Do not grow weary and lose heart. The boys’ VBS was collecting spare change as part of their daily offering. The money collected will be given to Blood:Water Mission, to provide clean drinking water in Africa. This gave me the opportunity to talk to the boys about the “Share” portion of their Moonjar piggy banks. Recently, they have been asking about how they can “get coins”. At 5, they really don’t understand money. They don’t understand that a quarter is more than a penny. They don’t need allowance. But they understand that their Moonjar piggy banks hold money. And they want to fill each compartment. As a result, they are obsessed with making money. They keep coming up with extra chores they can do around the house. 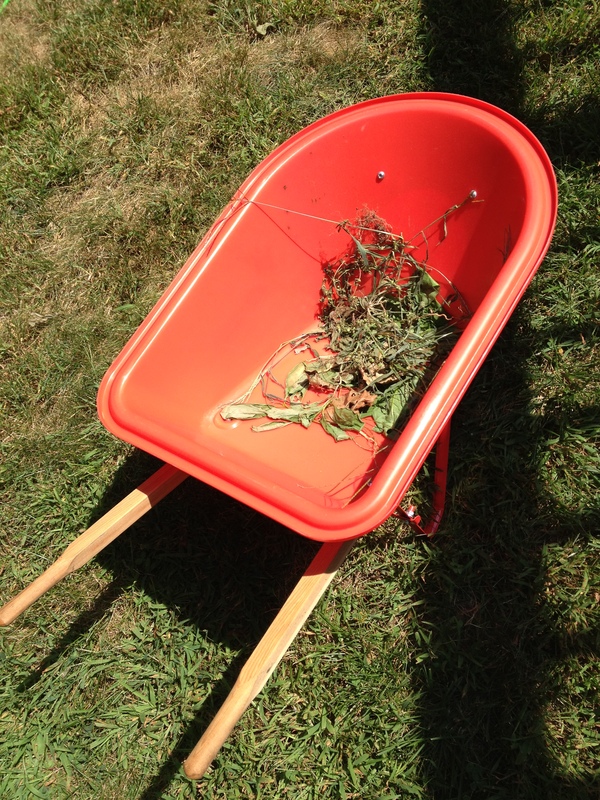 Two of the boys decided that they would fill up a small wheelbarrow with weeds, for a quarter each time. They did this 6 times! Off they ran to their Moonjars and put two quarters in each: Save, Spend, Save. So excited, they went back outside and filled up three more wheelbarrows. (Yes, apparently we hadn’t weeded in awhile…) Three more quarters! So we talked about how they could take their “Share” portion and give it away to go towards the Blood:Water offering. The best part? They were so excited to make money to give away, I found two boys outside. After they came home from VBS, the told me all about the people who had to walk a long way to get clean water. And that their money would go towards building them a well in their backyard. They were so excited that their pulling weeds is going to help build a well!